The Rescues are an American rock band from Los Angeles, California, formed in 2008. 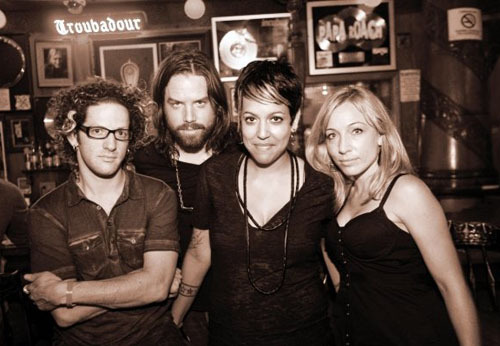 Their music can be classified as Indie Pop/Rock, and is notable for its use of 4-part vocal harmonies (all 4 members are singers as well as multi-instrumentalists). "The Rescues" were formed in 2008 by singer/songwriters and multi instrumentalists Kyler England, Rob Giles, Adrianne Gonzalez and Gabriel Mann, who met while performing on the singer-songwriter circuit in L.A.. While all members had experienced individual success prior to forming the group, the group has proved to be greater than the sum of its parts, sometimes described as an "Indie Supergroup". In addition to TV placements, many of their songs have won, and achieved honorable mentions in prestigious songwriting contests such as the John Lennon Songwriting Contest and the International Songwriting Competition. The band released their first record - a four song, self titled EP - in March 2010. 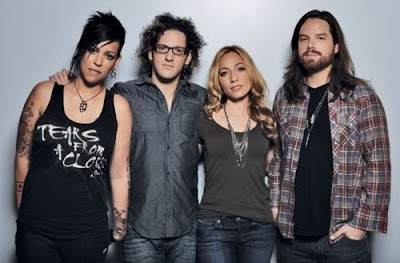 In June of that year they've released the LP "Let Loose The Horses", which has garnered notability and acclaim among various online blogs and music review websites, and has been featured on Best Buy's "Find Them First" list on July 2010. The band is currently touring the US in support of "Let Loose The Horses". Very very good! This group is a real talent! !